An instant hair powder . 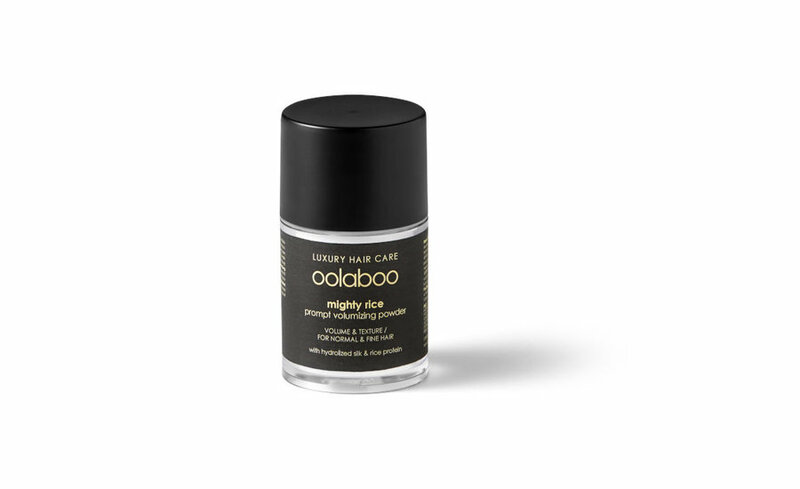 Provides texture and volume at the root for long-lasting hairstyles with a flexible hold. 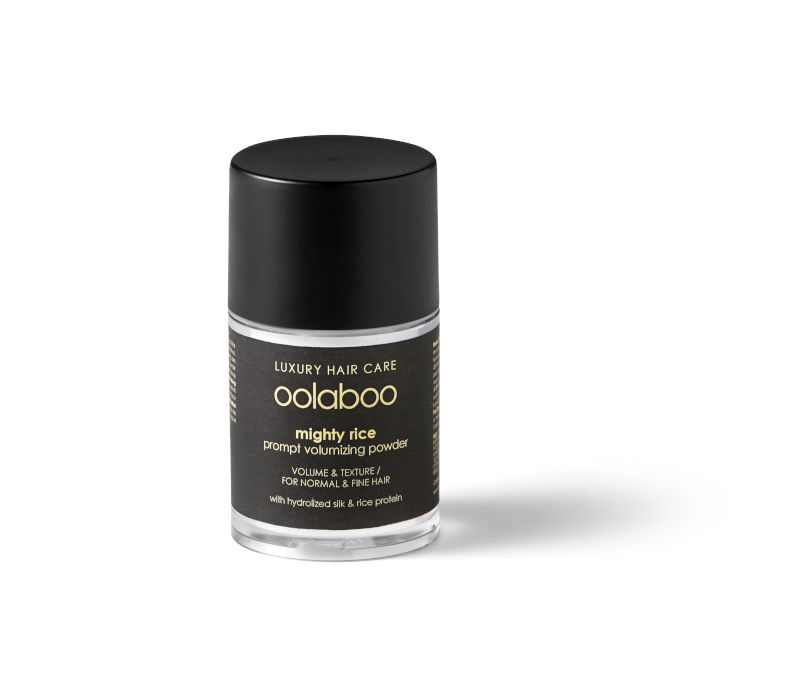 The lightweight formula texturizes each hair strand to create maximum volume at the roots. Great for textured braids and updos or for a voluminous look and invisible finish. Suitable for daily use and all hair types. Distribute into dry hair and use the fingertips to work the product into the roots to create instant body, fullness and texture. To add more body and definition to the mid-lengths and ends, apply a little mighty rice powder on a brush and work through the hair. Only a small amount is needed to achieve noticeable results. OCTYLACRYLAMIDE/ACRYLATES/BUTYLAMINOETHYL METHACRYLATE COPOLYMER, SILICA SILYLATE, AQUA, POLYMETHYLSILSESQUIOXANE, MALTOSE, SILICONE QUATERNIUM-18, INULIN, TRIDECETH-6, PVP, POLYQUATERNIUM- 10, HYDROLYZED RICE PROTEIN, AGAVE TEQUILANA LEAF EXTRACT, HYDROLYZED SILK, TRIDECETH-12, PHENOXYETHANOL, BENZYL ALCOHOL, POTASSIUM SORBATE, SODIUM BENZOATE.